Deduction under section 80U of Income Tax act 1961 can be claimed by an Individual who is a resident in India for the financial year relevant to the assessment year in which the person is taking the benefit. Tax deduction under section 80U can be claimed in addition to all other income tax deductions available under Income Tax Act 1961 unless and until is has been specifically disallowed. A salaried or self employed person or any other individual who is suffering from physical disability as specified under section 80U can claim income tax deduction under this section if such individual is resident in India during the financial year. As per section 80U of Income tax act 1961, a foreign citizen who is resident in India during the financial year can also claim this income tax benefit for his physical disability. Deduction under section 80U is not available to the individual who is non resident in India during the financial year. The taxpayer has to keep a copy of the certificate issued by medical authority and such certificate has to be renewed in timely manner to keep claiming the income tax deduction under section 80U. You are not required to produce this certificate along with the income tax return. In case it is asked by the assessing officer then the same has to be produced before him. A fixed tax deduction of Rs. 75, 000 is available for the taxpayer with disability if all of other conditions mentioned under section 80U is satisfied. A higher tax deduction of Rs 1, 25,000 can be claimed under section 80U if the taxpayer has severe disability. Sever disability means having any of the above disability of 80% or above. This limit of Rs. 75000 and Rs. 125000 has been increased in finance budget 2015 from the last year limit of Rs 50000 and Rs 100000 respectively. For assessment year 2015-2016, tax deduction under section 80U will be Rs 50000 or Rs 100000 as the case may be . From assessment year 2016-2017 , Rs 75000 or Rs 125000 can be claimed as tax deduction under section 80U on the basis of percentage of physical disability as discussed above. This means for assessment year 2015-2016, a fixed tax deduction of Rs. 50, 000 is available for the taxpayer with disability if all of the other conditions mentioned under section 80U is satisfied. 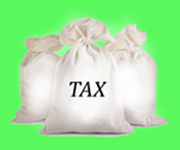 A higher tax deduction of Rs 1, 00,000 can be claimed for assessment year 2015-2016 i.e. financial year 2014-2015 under section 80U if the taxpayer has severe disability. Question 1: What are the documents required to claim tax deduction under section 80U for my disability? Answer: You are not required to produce any document to claim income tax deduction under section 80U. You need to keep the certificate which your medical authority has issued to you by certifying your disability. For illness such as autism or cerebral palsy form 10-IA additionally need to be filled up. Question 2: Who can certify my disability to claim the benefit of tax deduction under section 80U? A pediatric neurologist having an equivalent degree. 1. Who takes the money ? 3. When will we get that money back ? 4. What are the returns ? Its a fixed deduction. You need not pay anyone to get the deduction under section 80U. If you satisfy the disability criteria then you can claim Rs 75000 or Rs 120000 based on percentage of disability as tax deduction. I submit to inform that I am permanent physically handicapped person with 50% disability . I have disability certificate issued by the competent authority on 2002. Can I now claim income tax benefit / tax deduction under section 80U for that certificate. How much tax deduction get 65% phyasically handicapped person. I have been an an assesse u/s 80U for specified loss of above 60 decibels impairment of audibility certified in 2004 by competent surgeon. Do I require to obtain a fresh certificate now, to claim deduction u/s-80u. My DOB-3-7-1946. What Is the allowable deduction this year. RamasubrahmanyaSarma. Gali/Nellore-cell-81422 31442. Sir, I am having 50% loss of hearing, certified ( Dec. 2015) by govt. doctor . I am a sr. Citizen. Do I require to obtain/renew such certificate annually to continue claim under 80U. Sir, I am a teacher in basic siksha parishad, ballia u.p I am permanent physical handicapped. But the doctor did not show the percentage in physical handicapped certificate. How many rebate in 2016 -17 income tax. my mother suffering from mentally disorder cant spek properly & totally on bed due to bones calcium is much less,how can i get section 80-U benefit my mother age is 66 years,how much amount i get tex exemption?i am from mumbai,who is certify my mother?can u give me address? Sir I am a teacher in basic siksha parisad ghazipur. I am 60% physically handicapped. How many tax rebate in 2016-2017 at income tax act 80u.? I am govt employ. Our son has 88% disablity.so how much deduction we eligible. Sir I am a Draughtsman in Punjab pwd B&R . I am 60% Physically handicapped.How rebate in 2016-17 at income tax act 80U ? i am central govt employee.i have low vision(40%).give me advise to tax saving details. I had recently lost both kidneys and fot transplanted one kidney . Is this comes under disability to claim for 75000/- tax benfits. Kindly Please reply me as soon as possible. I have mitral valve replacement Dec.2003 ,what I banifit 80 u ? my self mahendranath,doing Ph.D and i am getting fellowship of 25,000 per month i have disability certificate of 72%, i am come under income tax slab or not ? And how section 80 u is applicable for me. I am a govt teacher.but I and my wife also physically handicapped person both.how much can I claim for tax benifits? My disability is65% & my wife disability is 60%.for FY2016-17.